are coming into this blog in the coming months. I am cutting out interviews and reviews very soon – taking submissions from others; I will approach bigger artists I want to feature instead – because, in new music, it is hard to find that sense of establishment that I need. It is no slight against any artist but it is difficult producing a big review for someone starting out or who sounds similar to someone else – you are just repeating yourself and it is a struggle. I can write about someone like Jack White or Self Esteem and there are multiple angles I can go from. In terms of newer acts, I am pretty much going on limited biography and maybe a slight difference in terms of sound. It can be frustrating but, as I say, I am pushing away in the next few months and only concentrating on bigger artists that will get my blog to a larger audience. Despite not having a lot of biography out there, Andy Jordan has the odd aspect I can focus on – the reason I am featuring him now. I will look at Jazz and Soul blends and why they need to come into the mainstream more; putting a new spin on heartache; artists who can develop and make an impression on the scene in years to come; relating to Record Store Day yesterday and why Jordan’s music suits those who love their vinyl; a bit about where Jordan might head and what the future holds. You’ll forgive me repeating myself but, as I say, given the format of my writing and the length of my reviews, it is near-impossible to put too much original expression considering I have reviewed a few similar artists lately. In any case, I am back to Jazz and Soul and types of music that are present in the mainstream but still isolated to a large extent. Think about what rules the charts and radio and most of it has a Pop edge and there is a distinct sound. Apart from artists like Leon Bridges and Gregory Porter, do we really hear that much Jazz around? There were times when Soul and Jazz were part of the mainstream and held huge influence. Now, in 2019, the scene has changed so much and it seems like a more processed and commercial sound rules. A reason why an artist such as Andy Jordan digs deeper, I suspect, is his record collection and what he wants to achieve from his music. I suspect that, for a lot of big artists, they just want to produce music that sounds familiar and connects. They try hard to be unique but it can be tricky when you consider what the consumer wants and the style of music they are playing. I hear too many artists who rely on clichés and tropes and you do wonder whether the music will linger and influence in years to come. That is not to say that everything in the mainstream lacks soul and longevity. It is highly possible that some of the best of the moment – including Billie Eilish and Little Simz – will be ruling years and years from now and compelling the next generation. I just think that there is a definite place for artists like Andy Jordan. You hear Jazz more commonly in genres like Hip-Hop than you do standalone, I think. There are some great British Jazz artists working now but they are on the fringes and not quite being embraced by the mainstream. I love the range of British Jazz and Soul at the moment and know full well that there is ample quality and brilliance to be found. Look at Jordan and his peers and you do wonder whether the market should open up more and recognise something special. I do like Pop but I feel like Jazz and Soul goes further and uncovers emotions other forms of music cannot. Maybe it is a bit cliché but think about the late Amy Winehouse and the impact she made in her life. She threw in some R&B and harder beats but, at the centre, there was a Jazz and Soul mixture that stunned the masses. I think many people assume modern Jazz is going to be all noodling and the sort of stuff you hear in the background at coffee shops. I do think we have misunderstanding and misconceptions regarding Jazz and what it entails. Listening to Andy Jordan and you get something very accessible and familiar. He has a great passion and energy but does not rely on electronics and the same sort of compositions as many out there in music. I am not suggesting he is more authentic and natural but it is nice to hear music that backs away from machinery and the fake to herald something more human and organic. In that sense, his songs of heartache sound more human and emotional. I have written about it a few times now but, another reason I am backing away from reviewing smaller artists is because of this theme: heartbreak and loss. This doesn’t apply to Andy Jordan but, given the fact popular music has been swinging for over six decades, one grows weary of the same themes in music. Everyone faces break-ups and heartbreak but it still dominates music. I feel the most inventive and exciting artists now go away from that and bring other topics into their music. There is nothing wrong with discussing love and disappointment but how does one stand aside and capture the imagination when nearly everyone else in music is doing the same? A lot of artists use the same wording and you do think they need to have a bit of a rethink regarding their subject matter and how to make an impression. I know Jordan has other topics in his songbook and know he will stretch out in future but, as a song that has a degree of pain at its heart, he manages to create something that is different from what is out there. Gin & Jazz, in its title alone, projects images of a man who calms his woes with some Jazz and a glass of gin. The sort of thing I imagined – before approaching the song – was a rather classic scene of a hero at a bar somewhere; thinking about mistakes and the past and things that could have gone differently. It is vital artists discuss loss and separation in their music but I do think the lyrics can get samey. Instead, Andy Jordan projects something rather film-like and unusual. He does not rely on the familiar sentiments and structures regarding his words. Rather, he puts in images of records and better times; those special nights and, well, everything really. It is hard to compare his latest song with anything else in terms of its descriptions and voice. I like the fact that you get a familiar weight of heartache but the words take your mind in different directions and compel these great images. I have talked about Soul and Jazz and how effecting it can be. I will discuss it further but listen to Jordan’s music and you do not instantly link it to anyone else. The instrumentation and vocals have more nuance and depth whilst the lyrics are from a very personal space – rather than sticking to some sort of commercial format or employing language lazily. I am all for songs regarding break-ups and relationship perils but, given the countless songs that have come before, artists need to work harder and do something different if they want to stay in the mind. Jordan has penned a song that many of us can understand but you sort of know that he is opening his diary and personal life; this track is very much about his particular experience rather than anyone else’s. This is good to hear and, fused with music that is fresh and needed more in the charts, you do hope that Jordan changes minds and perceptions. I have a lot of respect for those genres more at the outskirt; those that have never truly been accepted but, to me, are more interesting, ripe and extraordinary than we know. I shall move on but I do feel that newer artists like Andy Jordan can change things and lead to a bit of a re-arrangement in music. Let’s hope that these evolutions and steps happen sooner rather than later. I think that there are a lot of great artists who can make an impact in years to come. I think there is so much out there and we can get a bit bogged in all that is around. Is it possible to truly unearth artists who are going to remain and be on the block years from now? I think you just have to use your instincts and trust your gut but a lot of artists sort of slip through the cracks and do not get the celebration they deserve. 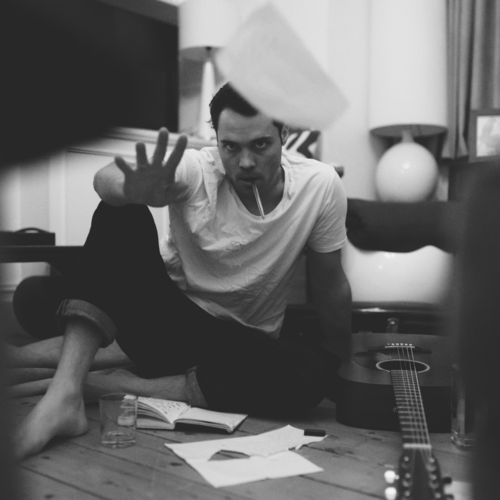 I think Andy Jordan has the opportunity to keep growing and do really good things in music. Not only does he have a healthy fanbase and a growing following but he is putting out music that has its own skin and personality. That cannot be said of everyone in music so, for that reason, make sure you check him out. I like the conviction that one finds in his music, too. Listen to songs like Gin & Jazz and you know that every word holds meaning and prominence. I do hear songs that appear to be quite insincere and you wonder whether the artist means what they say. Jordan is never too oblique and makes sure that his audience understands what he is saying and they can connect with the music. Artists who can balance the personal with universal are very rare indeed. I like the fact that we get this interesting story on Gin & Jazz and everyone will have their own perception. At its heart, it is a song that we can all understand and take something away from. Another reason why Jordan will be around for a long time is the way he connects with fans. His social media is updated regularly and you sense this is an artist who places the needs of his fans at the top of his list. The sense of passion and energy Jordan puts into his work is reciprocated by dedicated and loyal fans. His numbers are growing and I do wonder just how far the artist can go. I will discuss his future in a bit but, staying on this theme, there is stuff to uncover. I do think that music today is a very tough environment and how easy is it for anyone to succeed? There are so many challenges one must navigate and many find the pressure too daunting. The belief one has in their music and its power is at the centre of what artists do. If they have faith in what they are putting out then that sort of determination and focus will see them through. In a very packed and eclectic music world, the music needs to have that edge and U.S.P. I do feel that the generic are embraced too much and there is a feeling that cheap and commercial is much better than something a bit more challenging and intelligent. I am seeing attitudes change but look at all the huge artists that dominate Spotify and YouTube and their music is not nearly as exceptional and promising as the likes of Andy Jordan. Maybe it is impossible to change things in that respect but I know Jordan will continue to make big steps and recruit new followers. I do love what he is throwing out into the world and how he has grown since the start of his career. We have just experienced another Record Store Day and seen endless tweets regarding people buying records and racing to their local record shop. Yesterday was a hive of activity and excitement in the music community. I wanted to move on from my previous topic and address Andy Jordan in respect of Record Store Day and where he fits in. I’ll end the current subject by saying that, if he continues down the road he is on then Jordan can really shake things up in music or, at the very least, he can get some big gigs and record albums for many years. He has a great sound at his disposal and it is definitely something we near more of. Going back to Record Store Day and, as I said, Jordan seems like the kind of musician who slots in with the day’s ethics. Record Store Day is about bonding people and discovering rare records; heading to your nearby record shop and spending some money on great music. Some argue that the day is fabricated and has no real relevance but, more than that, it is a day when we can appreciate record shops and how important they are. We spend every other day of the year on Spotify and other services and we tend to forget the joys of a record shop. Just heading down to your local and seeing like-minded people flicking through records and chatting is great. You get this community and connection that you do not achieve online. I think of record stores and associate them with cooler albums and stuff that you would not expect in the Pop mainstream. That might sound like a dig but I go to record shops to get either something classic or a new record that is not chasing chart positions. Actually, I love to go to a record shop and look through genres like Jazz, Experimental and Hip-Hop and collect albums that are a bit rare or do not get much of a spin. You want to discover albums that will take you somewhere special or are outside of your comfort zone. I get home, put the record on and let it immerse and envelop me. I am not sure whether Andy Jordan has had his music placed in a record shop but I can see him featuring in future Record Store Days. I get the sense Jordan would take delight in considering the colour of vinyl and making his release unique. Maybe he would have a special picture edition or have a few B-sides. Perhaps he would throw in a hidden track or release different versions of an album. I can tell that Jordan has a great love of music in its purest form. You only need to listen at what he is doing now to realise Jordan wants to be in music for a very long time and connect with the world. He could have easily replicated Pop artists and produced something quite familiar but, instead, his music definitely charts its own course and does not apply to usual rules. I love the fact that there is this seamless blend of genres like Jazz and Soul but you do not have to be an expert in either to understand what he is doing. That makes me believe that Jordan’s music would be perfect for those who love to rummage through vinyl and spend a few hours chatting to similar souls at their local record shop. Perhaps I have got that wrong but I can detect a musician who thinks about his audience and the impact his music makes. In an industry where there is so much competition and pressure, having an artist think about every side and aspect is very pleasing. I have covered a lot of ground regarding Jordan and, whilst he does not put a lot of information online regarding his background, musical tastes and reviews – something he will want to consider going forward -, I hope I have managed to tap into his music adequately. That is another problem with many new artists: they let the music do the talking but there is not a huge deal regarding their history and likes. I would love to know the music Jordan holds dear and what his early life was like. You get a more complete image of the artist and it would bring him even more fans in. From looking at his Facebook page, I can tell he is influenced by the likes of Sam Cooke and Chet Baker and he began performing at school. I am not sure if there is anything else to fill in but I feel like there is more information and revelation that would give the listener a wider impression of Andy Jordan. Let’s move onto the new music from Andy Jordan and what Gin & Jazz is all about. There is some nice bass twang and some finger-flicking action that heralds in Gin & Jazz. Right away, I was caught between a Jazz club and its environment and somewhere more intimate – maybe the hero at home, trying to make sense of what is happening to him right now. There are a lot of deep-voiced and powerful singers around right now that, rightly, get a reputation for being a bit boring and samey. We have Tom Walker and Lewis Capaldi and, whilst they have their merits, there seems to be this formula for successful British males right now. Don’t let the deep voice of Andy Jordan lead you astray. His music, like many of his peers, does not rely on words being belted out and the same clichés being spouted. The opening to Gin & Jazz does not put the composition too high and allows the vocal to have much of the say. I am not sure whether the hero has broken with the girl and they are splitting but he implores that she returns to who she was: the girl of his dreams and back to a time when they were both happy. Rather than blame her and put his heart on a chopping board, Jordan keeps his composure and asks for some commitment and discussion. He longs for those nights where they were listening to Jazz and sitting beside one another. Maybe I am too premature regarding that assumption. I look at the song’s title and assume it refers to a routine Jordan and his girl used to enjoy. Maybe it is more about a carefree life the hero had when he was listening to records and did not really have the same pains he has in his life. The hero used to be haunted by demons and troubles and you wonder how long the relationship has been cracking. I keep switching between impressions of Jordan wanting the simpler days when he was a bachelor and the romantic ideal of him and his girl enjoying a pure and safe love. There is no need for blasting horns and histrionics in the song. Jordan keeps his voice cool and calm and does not let anger show. Whilst the words are direct and clear, there are some oblique touches that allow one to have their own response and interpretation. I got images of the girl dropping off her keys and the hero being a bit lost. There are moments when you see Jordan listening to Jazz records and wondering how things went bad. We hear about the ship sinking and tears filling his heart. The reason behind the romantic distress is not clearly revealed so one has to come to their own conclusions. Maybe it is that the two are drifting in different directions and they are not the same as they were when they first met. Jordan longs for those past days – whether it is him and his sweetheart in their prime or a less responsible time – and wonders whether he will ever rekindle that spark and sense of comfort. The chorus layers the vocals and creates a real rush. I like the fact Jordan keeps the composition tight and colourful without throwing too much in. The focus is still very much on the vocal and what it is trying to say. Gin & Jazz has a definite pace and cool that sets it aside from a lot of what is out there right now. If the current mainstream relies on artists who belt everything and has a bit more energy, I do hope they consider songs that take their time to intrigue and resonate. I like Jordan’s style and how this endless sense of calm and cool rules. He does not need to get overwrought and distressed to make his words strike. We have this very honest song that regrets what has happened and tries to get back to times when he and his girl were happier and secure. There are greater little coos, licks and lines that give the song a real kick, sway and movement. You can easily bond with the song and get behind it but, the more you listen to it, the more that comes to light. I played it a few times and saw Jordan’s story from a different perspective. It is a great track from Jordan and I do hope there is more material coming from him in the coming months. 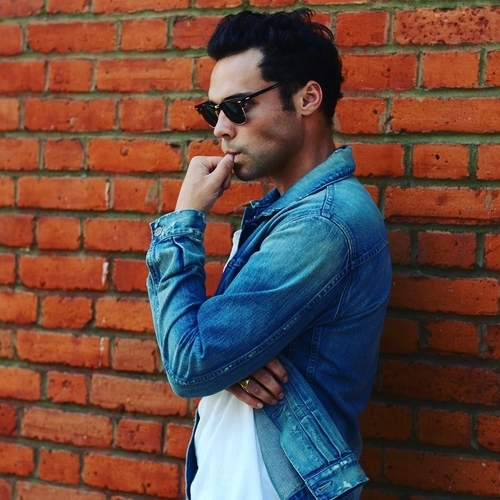 Andy Jordan is keeping his social media updated and, over the past couple of months, he has put up various videos and news. It has not been refreshed for a few weeks now but I do wonder whether that is just because he has a new song out and there is not much to say right now. I wonder whether Jordan is heading in the next few months and whether we can catch him on the road. There are some great venues around that would support his music and many will wonder whether an E.P. or album is afoot. I guess that is where interviews come in and many will keep their eyes open and wonder where the musician is going. I think that 2019 will be a busy one and we will get more material from Andy Jordan. He has a definite sense of ambition and momentum so it would be nice to see that reflected in more music. His sound has that real sense of beauty and emotion and is never too heavy-hearted or bleak. Instead, we have someone who has come a long way and has a pretty impressive fanbase at the moment. I neglected to mention that Andy Jordan used to be on the T.V. show, Made in Chelsea, because I feel it detracts from the music and gives people a certain view of who he is. I am not a fan of the show by any stretch of the imagination but I have featured another graduate, Caggie Dunlop, on my site before. I do think we can be a bit judgmental when we see someone from a reality T.V. show – not there was much reality on Made in Chelsea! One must judge Jordan purely as a musician and I feel that is where his strengths lie. Unlike a lot of people who have appeared on shows like Made in Chelsea, there is not this desire to be commercial and uncomplicated.